Property 5: Steps From The Beach & Pet Friendly- NO MINIMUM STAY!!!!!! Property 17: Little Orca's Place in Moclips 200’ Walk to Beach! Sail Away Cottage - "This house is FANTASTIC!" Property 18: Sail Away Cottage - "This house is FANTASTIC!" 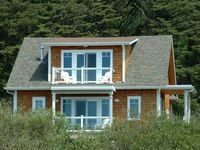 Oceanfront Cabin, with Super Views, Great Beach, Pet Friendly! Property 24: Oceanfront Cabin, with Super Views, Great Beach, Pet Friendly! Property 25: Easy Access Rough House Condo at Moclips. Hot Tub. Bungalow beach house, sleeps 10, just a block away from beach. Property 27: Bungalow beach house, sleeps 10, just a block away from beach. Modern Beachfront Cottage with Stunning Ocean Views: Featured on SmarterTravel! Property 29: Modern Beachfront Cottage with Stunning Ocean Views: Featured on SmarterTravel! Property 32: Dog-friendly home with ocean views and fireplace, walk to beach! Property 35: Cozy beach house in perfect spot with private lot and deck! Property 43: Rough House Condo, Moclips Ocean View. Hot Tub. 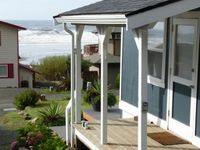 The Carriage House was a warm and welcoming little cottage on the edge of a beautiful stretch of beach. My husband and I were looking for just the right getaway to recharge after a very hectic Winter schedule. This provided the perfect setting and also allowed us to sample some really great restaurants within a 20 minute drive. We would definitely stay here again and perhaps do some clam digging next time given the right season. Super cute bungalow with great views.